The Grammarian Stall, which has been running for 80 years at the Canberra Grammar School Fete. Photos: Supplied. 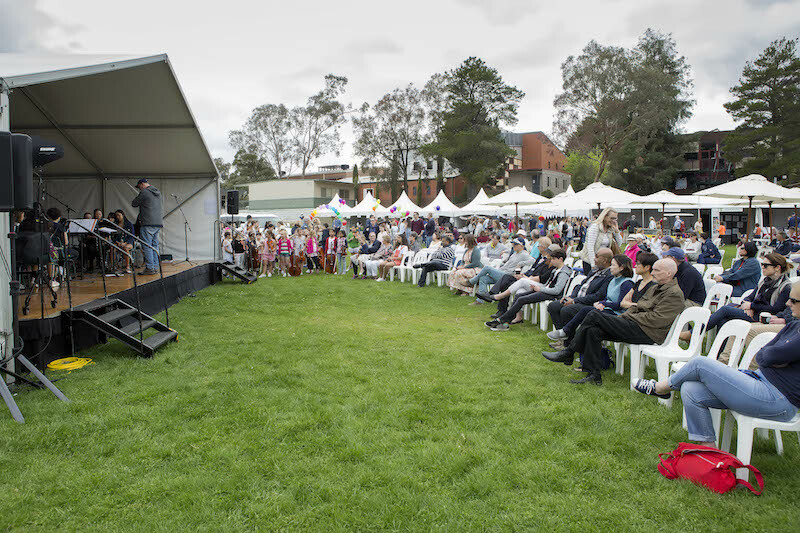 Canberra Girls Grammar School fete, one of the national capital’s biggest with more than 50 stalls, will be held across three acres in Melbourne Street, Deakin, from 10 am to 3 pm on Saturday, October 27. More than the event’s size, it is the strong community traditions, exemplified in the long-running Grammarian Garden Stall, and the breadth of the stalls, that distinguishes this event. The plant stall has been running continuously for 80 years. The Jaktman Gallery, an Australian Aboriginal Art and Design Gallery, and Jane Brown Pearls are among the stalls that are unique to the Canberra Girls Grammar School fete. About 10,000 people are expected to attend. 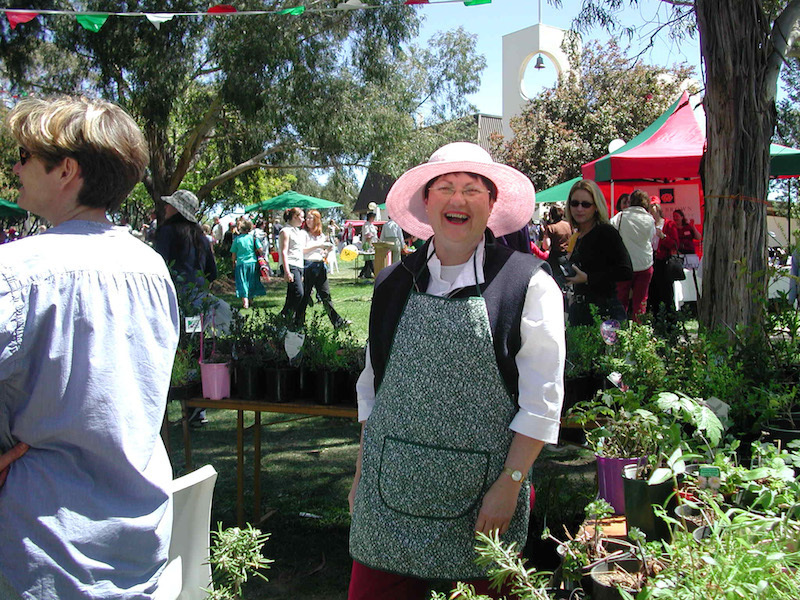 Parents and Friends secretary and fete coordinator Janice Green says the key to staging a comprehensive display of the school community is to enlist an army of volunteer parents to prepare, stock and run stalls. “Feedback I have from parents who helped on stalls last year is they had not realised how much fun it was, because they are working with other parents and with the children getting to know people from the wider school community and community as a whole,” Janice says. “The Parents and Friends Association runs a number of events during the year to get parents and students together outside the normal day-to-day school life. The fete is the biggest one, where we have parents and students working together. We will also have members of choirs, orchestras and bands performing,” she says. 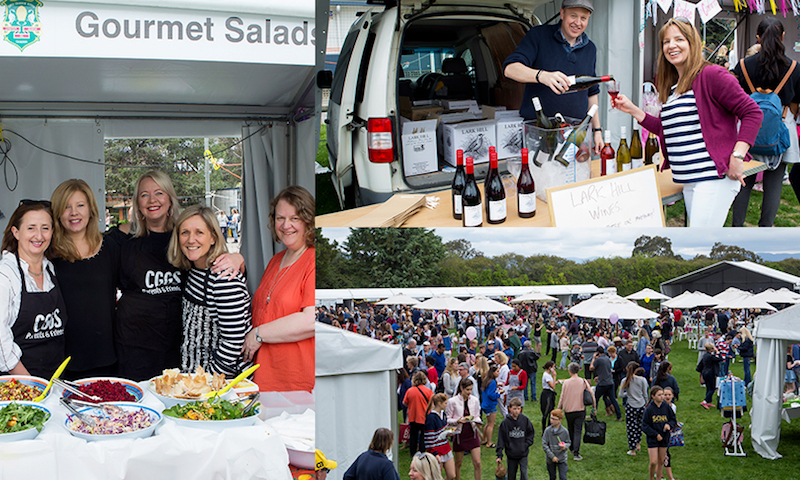 Some of the stalls and crowds at previous Canberra Grammar School fetes. On the day of the big event, younger children have their faces painted, ride white ponies and pat ducks, bunnies and other farm animals. Older children have their pick of Dodgem Cars, Tea Cups, the Giant Slide, Laughing Clowns, the Supa Cha, two Jumping Castles, Mad Hair and Helium to name a few. Parents have a delicious choice of gourmet salad, barbecue, Dutch pancakes, spring rolls, milkshakes, popcorn, fruit salad, ice cream, nachos and hot dogs. They have access to a wine stall, while the book stall always gathers a swarm of curious readers. CGGS students present a fashion parade and drama performance each year, called Fash Pash, which showcases clothing from local brands with a different theme each year. The theme this year is Beauty and the Beast. Students’ choirs and bands are a popular drawcard at the fete. This year’s premier sponsor Rolfe Peugeot will display four cars in addition to contributing to the fundraising. The gold sponsor is Affinity Dentistry and the silver sponsor is William Cole Funerals. The fete raises about $50,000 each year. “Although it is a fundraiser, the main objective is to bring the school community together and showcase our fabulous school to the wider Canberra community,” Janice says. “We particularly want people outside the school community to come along too,” she says. A silent auction has items including signed Australian sports jerseys and overnight accommodation. The combined worth of all the items on offer is more than $10,000. The money that’s raised goes into a fund used to purchase little extras for the school. “Last year we used the money to buy an imagination playground for the junior school. This will be at the fete on October 27. It’s like a giant building block that the kids can build whatever their imagination tells them to,” Janice says.